Boutique bicycles are great, don't get me wrong. 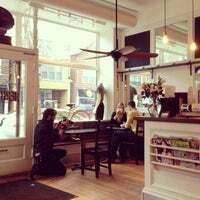 But this is a place for excellent coffee and an equally pleasant environment. Great outdoor patio with hip old van. And yes you can buy a bike, too. Hazelnut latte is very delicious, no likes, but no parking! If you are driving it's very hard to find parking on the street. But if you have bicycle it would be perfect for you! Very nice pour over coffee from Stumptown, amazing chai latte, and very nice pastries and baked goods. Nice outdoor seating makes this place a neighborhood gem. having their motto "people demand bikes and coffee", they have whatever people may demand, and they are really good at both. Great place with a fantastic atmosphere and friendly staff. Got the iced coffee and a muffin and both were fantastic. Definitely worth the trip. coffee is tasty and comes in cute branded mason jars! ambiance is perfect and there's also outdoor seating on those nice days. Yay love this place! Super cosy interier, great coffee and burritos for breakfast! 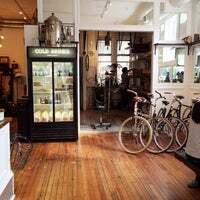 You can also walk in to their bike shop! This is a really cool place. Rwanda pourover was excellent and cinnamon scone was delicious. Owner seems like a great guy. 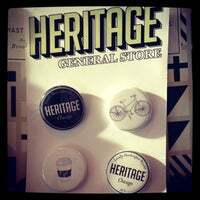 Don't forget this is half bike shop! 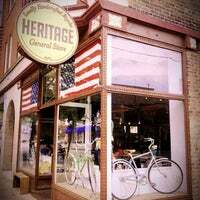 Hipster haven, which makes me laugh, but delicious beverages and knowledgeable staff (baristas and bike mechanics). In the summer, outdoor social media moment opportunities on the patio. 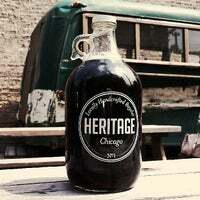 Stumptown coffee, Little Goat treats, Chicago made bikes, grumblers AND growlers to buy more Stumptown Brewed Coffee -- this place is a true Chicago Gem!!! My favorite Beyoncé-approved coffee shop. Grab a flawless Stumptown iced coffee and a slice of Bang Bang pie. Wow Chicago needs more coffee shops that feel like this. Really like the look and concept. The coffee is wrap an old comforter around you on a lazy Sunday morning good. 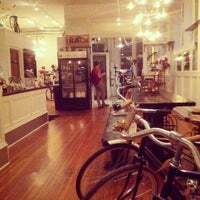 Bike repair/coffee shop that serves baked goods from Stephanie Izard's Little Goat. A creat combination! Chai latte is awesome. They serve Stumptown coffee. Great ambiance and lovely bikes. Chai tea was so good! Dip biscotti in it! The pecan pie was nice too. Super friendly place. Great coffees and teas. Decor is classy, music is good. One of my favorite spots in Chicago. Cool bike shop. 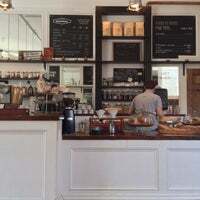 Great coffee shop, somewhat pricey; this is not Starbucks so don't get complicated. Their snickersdoodles disappear into my mouth before I even walk away from the counter. A must try. 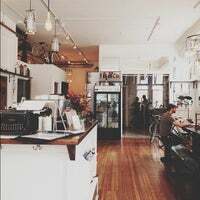 Cool coffee shop and great place to relax, catch up or have a casual meeting. 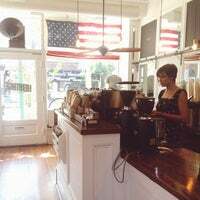 Amazing coffee and great service. Try the ham, egg & cheese breakfast sandwich! So cute! 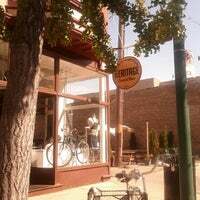 Part coffee shop, part bike shop. Pour overs are really great, although pricey when they have certain roasts. 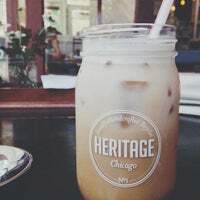 Heritage makes one of my favorite cappuccinos anywhere in Chicago. 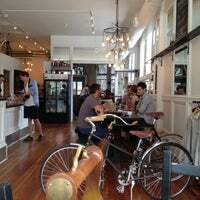 This place is fine as a coffee shop, but should be avoided if you are getting any work done on your bike. Their mechanic messed up my wheel/tire and he and the owner refused to acknowledge it. Grab a coffee and, if you feel like it, a new bike. Lots of bike parking and outdoor seating. Coffee is real nice. Great atmosphere. 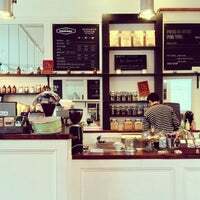 Delicioso café, excelente lugar para trabajar. Enjoy the outdoor seating in the summer. Coffee and bicycles! Best shop ever? Their rhubarb pie is damn good! 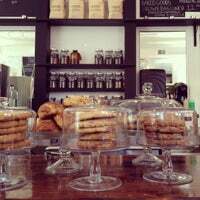 Try the biscotti. They are amazing!!!!!!!!! "Lattes are to die for. Easily my favorite coffee shop in the city. You can choose a non-dairy milk option at no extra cost. They've also got almond milk, which I tend not to see as often." "Love the decor of this place. 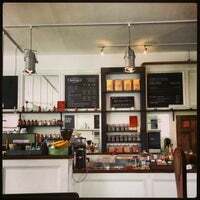 Great location for a meetup, to have a coffee with a friend, or to get work done." "Super weird original art and art prints, cute t-shirts, lots of toys, everything a great mix of kawaii + disturbing. 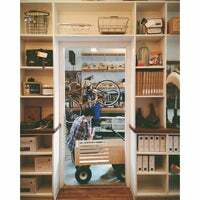 Cool store for adults and kids both." "Excellent salad bar, the curried cauliflower is awesome!" "Everything is amazing here! From their burritos to their JUICES! I love love love their pancakes:)"